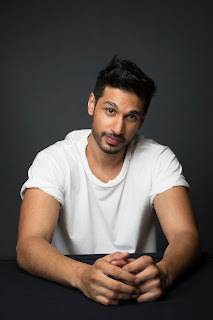 Pop Star Arjun Kanungo prepones the audio release of his new single as a gift to his fans! It happens only “Ek Dafaa”! Yes you heard it right, pop star Arjun Kanungo released his new single “Ek Dafaa (Chinnamma)” a day prior to the official release date! A short teaser of the song that was released across Sony Music and the talented singers social pages, received a stupendous response. This aided the label and the artist to release the song a day earlier across all streaming platforms. The song has a sample used from legendary artist A R Rahman’s iconic ‘Chinnamma’ that makes it fun and adds an extremely trendy vibe to the song. The track begins with a simple minimalistic Grand Piano and gradually evolves into an eclectic Electronic Pop tune with a chorus that will make you press the replay button!. The audio was released by Sony Music and the label is currently working on the main video slated to release by the end of the month. Penned by Mayur Puri, Ek Dafaa (Chinnamma) speaks of the emotional journey one goes through while experiencing heartbreak or separation with your loved ones! The song succeeds in establishing a strong groove, which listeners instantly connect with.